Some individuals may choose to simply give general contribution(s) to our fundraising campaign. · A family or individual can make a general contribution. They can also be made in honor of or in memory of a loved one. · Multiple contributions that are denoted as WINDOWS from an individual will be accumulated and recognition will be made according to the individuals wishes. To earmark funds for our window campaign simply denote WINDOWS in the memo portion of your check. You may also include your donation with the attached form. 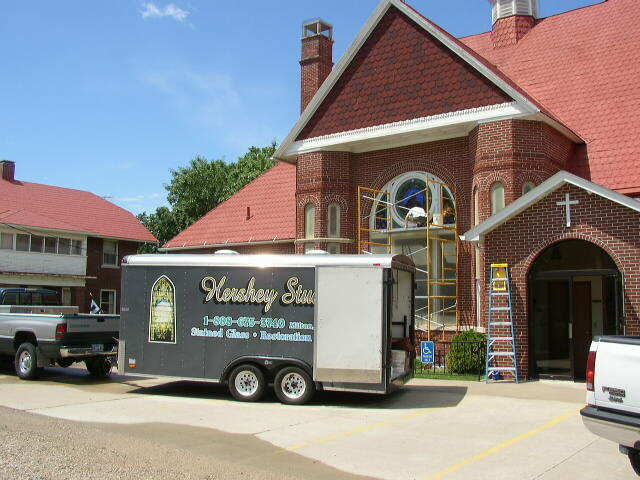 · A Collection Box specifically for the window project will be placed in the back of the Sanctuary. The purpose of this box is to be a drop box for denoted contributions AS WELL AS miscellaneous donations by our members and visitors. · All general contributions will go directly to the current $10,000 goal.